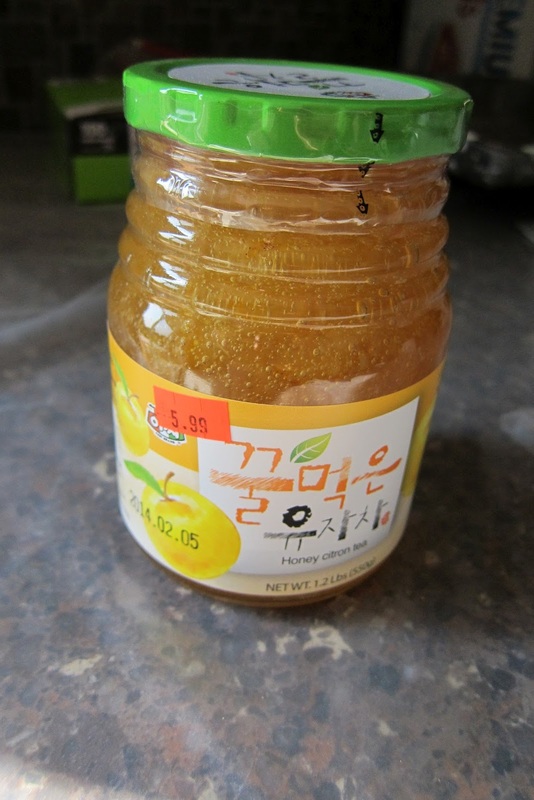 I really needed to get out of a funk so I knew a trip to a Korean market would be just the thing. Rocketman had bought me a small, college-size refrigerator so I could buy kimchi and not have it stink up the entire refrigerator. 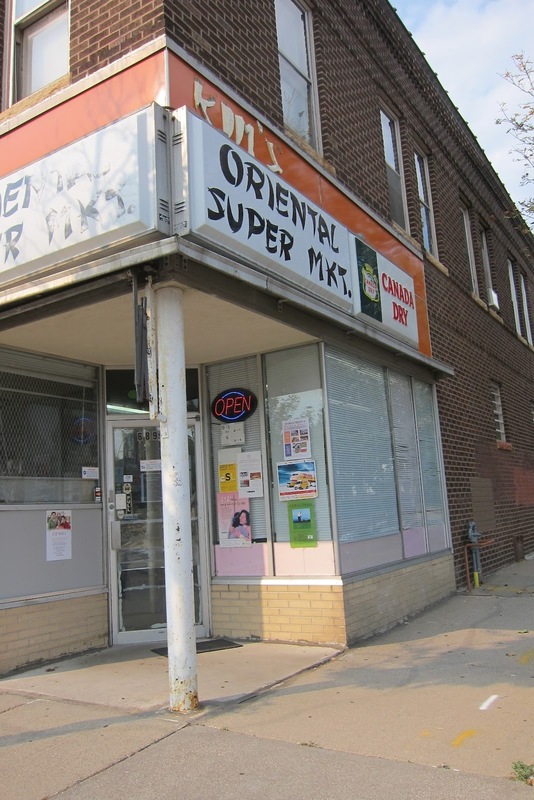 Kim’s is not much to look at from the outside. But inside was like I stepped back into Korea. I opted for one of the small shopping carts instead of a basket and proceeded to fill it up. 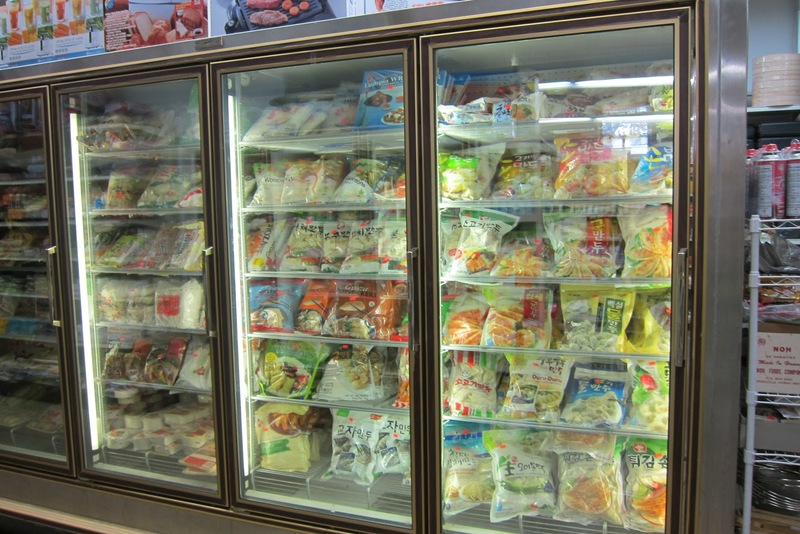 Frozen mandu!!! WooHoo!!! 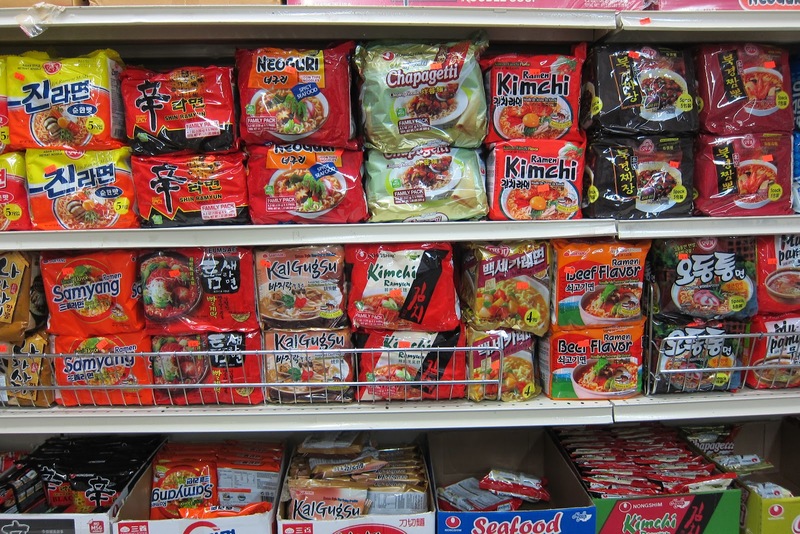 And lots of choices for ramen just like my Home Plus back in Suwon. These jars are deliciousness and are going into the new refrigerator because they smell to high heaven even though they haven’t been opened yet. When we stayed at the Dormy while waiting for our things to arrive we ate the free breakfast that was offered by the staff. 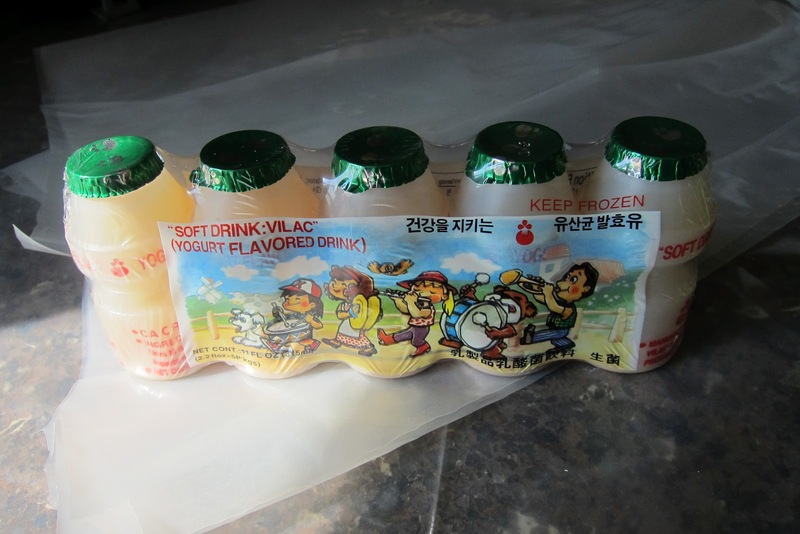 Rocketman would always get one of these yogurt drinks and I thought to surprise him with one each day with his lunch. I couldn’t pass these up too. I missed them both! 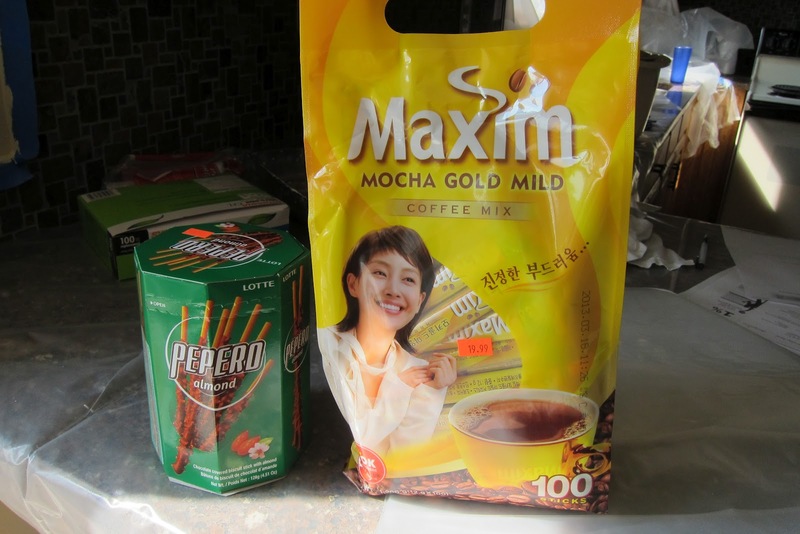 And how could I even begin to do any Korean cooking without these? This stuff is so good and I think it will help me get over this cold even faster. I couldn’t stop smiling as I shopped. The wonderful ajumma who owns the store remembered me from 2010 and was surprised to hear we had gone back to Korea. 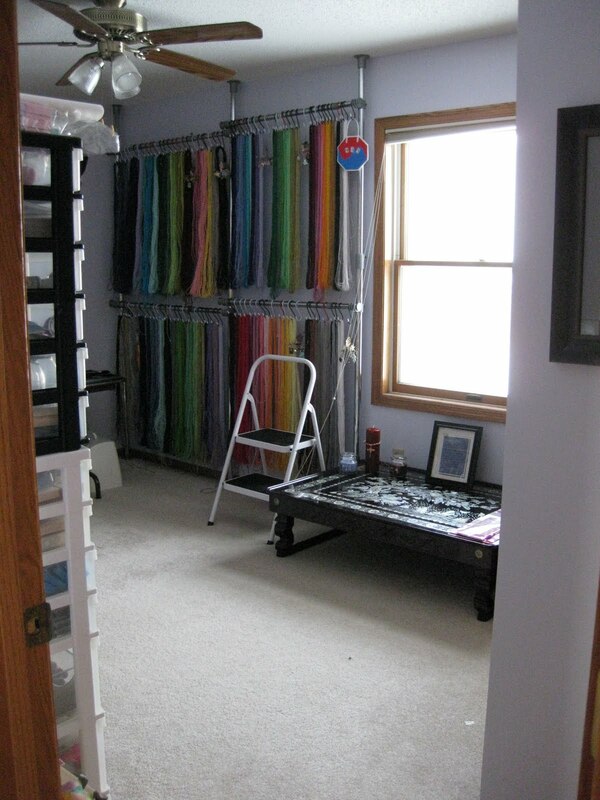 I came home and put everything away. 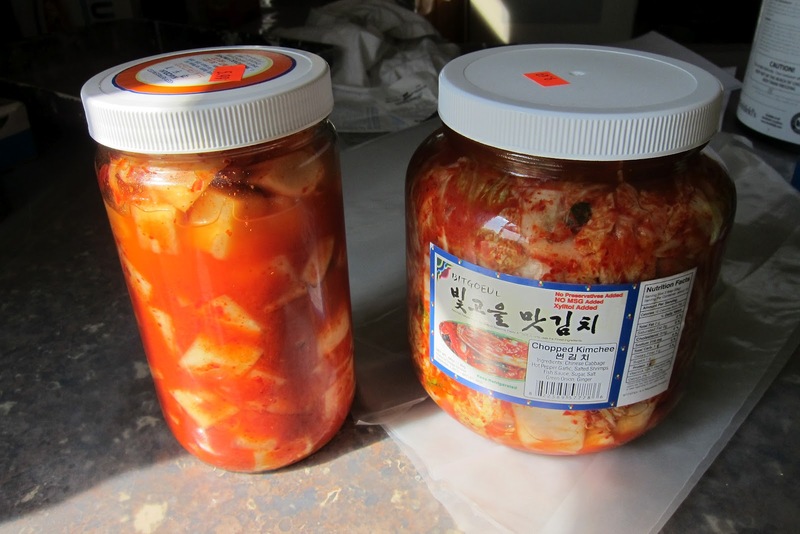 I can’t wait to make some kimchi jjigae now!!! 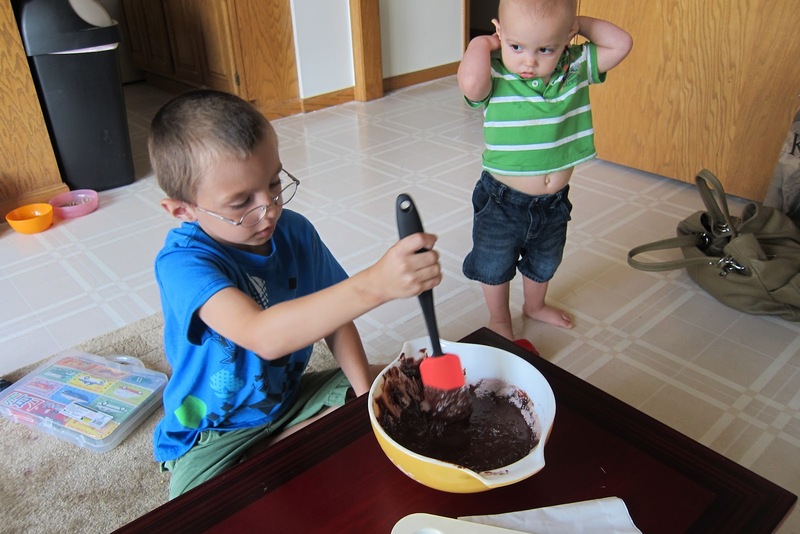 We did a bit of cooking while we had the grandkids and I got Noah involved as much as I could. One night for dinner I decided to make homemade pizzas. I had never tried it before but I figured it couldn’t be that hard. 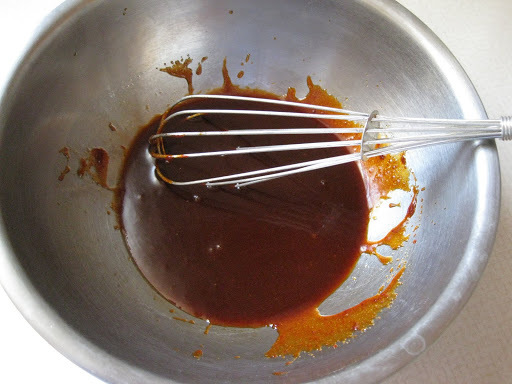 I used this recipe for the dough and a store bought sauce. 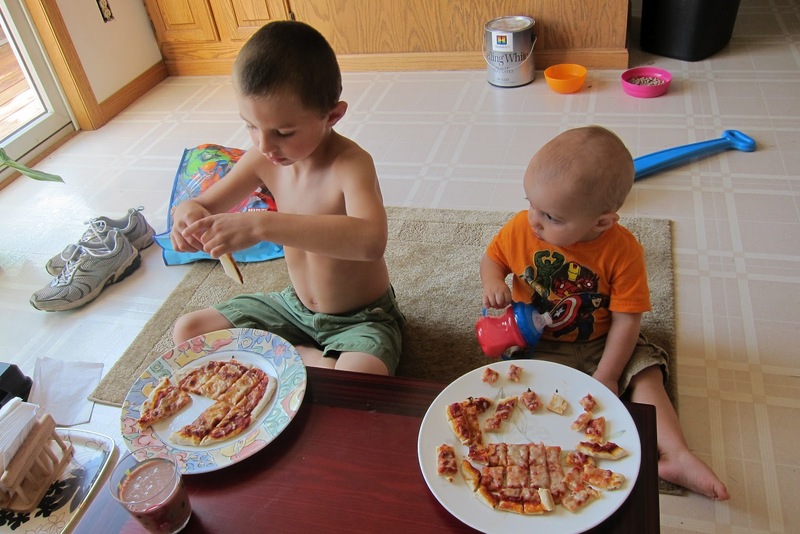 Noah liked cheese pizza so that made it pretty easy. He really got into making the dough. 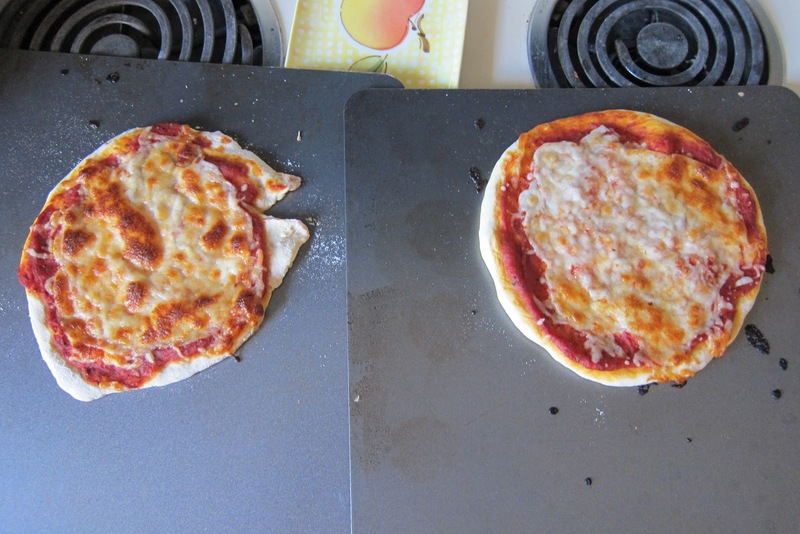 I spread the sauce over the dough and he took care of the cheese. 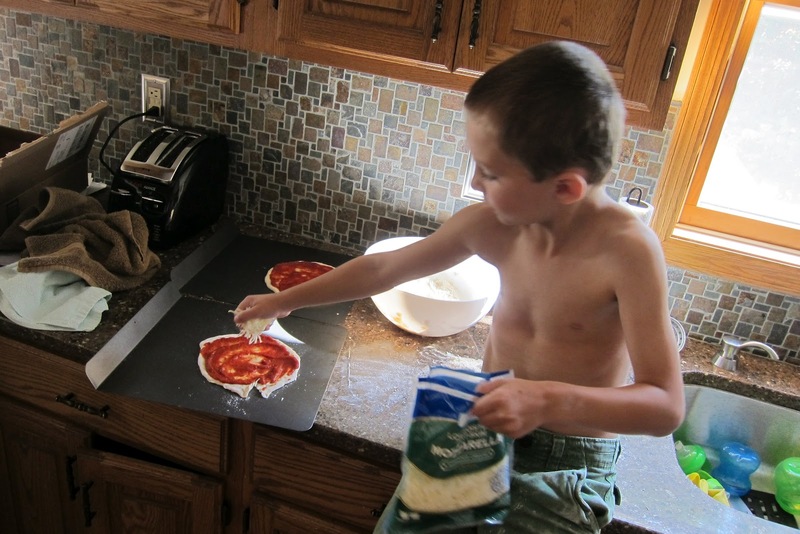 The pizzas turned out great and both kids loved them. I also decided to try out making cake pops and I had bought a kit. 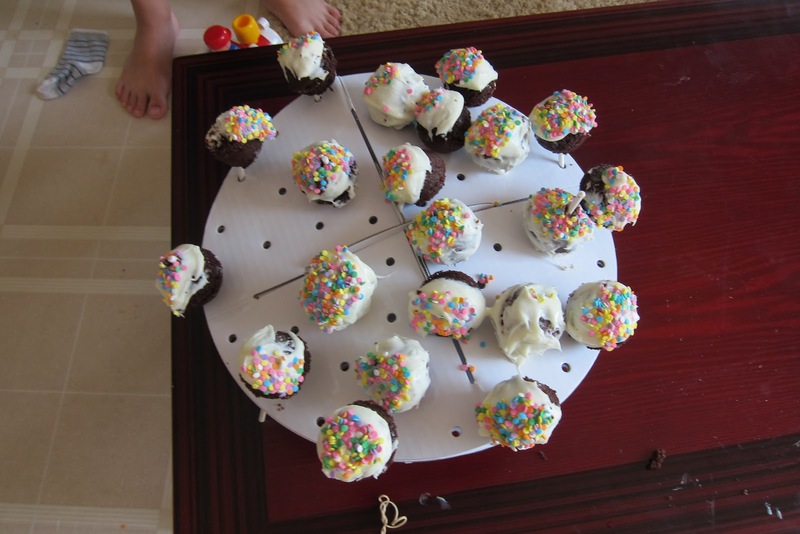 I had a cake pop mold which made it easy to make the cake pops in the oven or so I thought. Frosting them turned out to be a challenge. I followed directions and chilled the cake pops but the icing just turned out to be a little too thick. Noah didn’t mind and he loved how they turned out anyway. Rocketman bought me a Cuisinart food processor for Christmas. You may wonder where he would get an idea like that from but the heavy hint came from me. I’ve been making homemade soups and freezing single portions for him to take to work for lunch. 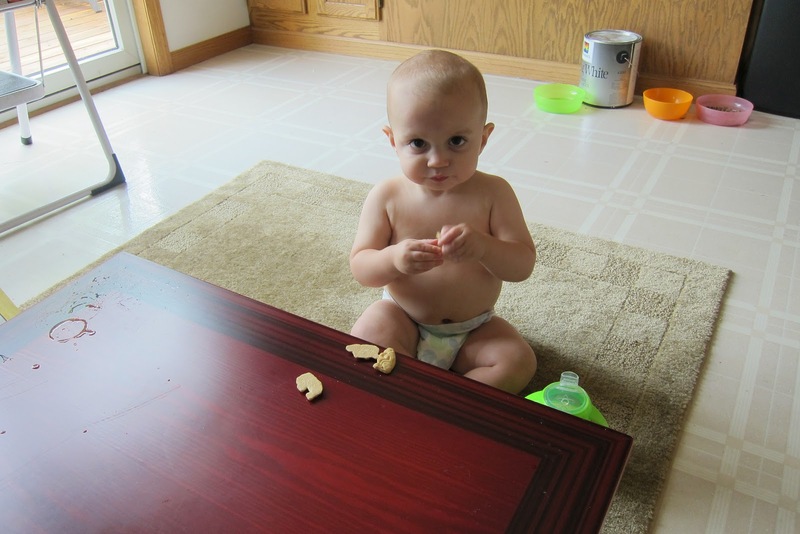 It has been a much healthier lunch for him instead of the usual fast food he had been eating. The company cafeteria also leaves a lot to be desired and can be expensive. The food processor would save me from chopping all those veggies with my increasing number of dulling knives. I still haven’t figured out the right way to sharpen them so I haven’t. Yesterday I was making a broccoli cheese soup and a minestrone. I had a lot of veggies to cut and also cheese to shred which was perfect for my new food processor. I’m not one to look at the instructions so I started by using the metal blade attachment to cut some onions. I like my onions diced very small so I don’t know they are there. A few pulses reduced the onion to mush but I put it into the soup because who would really notice that anyway. So when it came to the carrots, I knew I needed to put in the slicing blade which was round and fit on the top of the processor with an attachment. 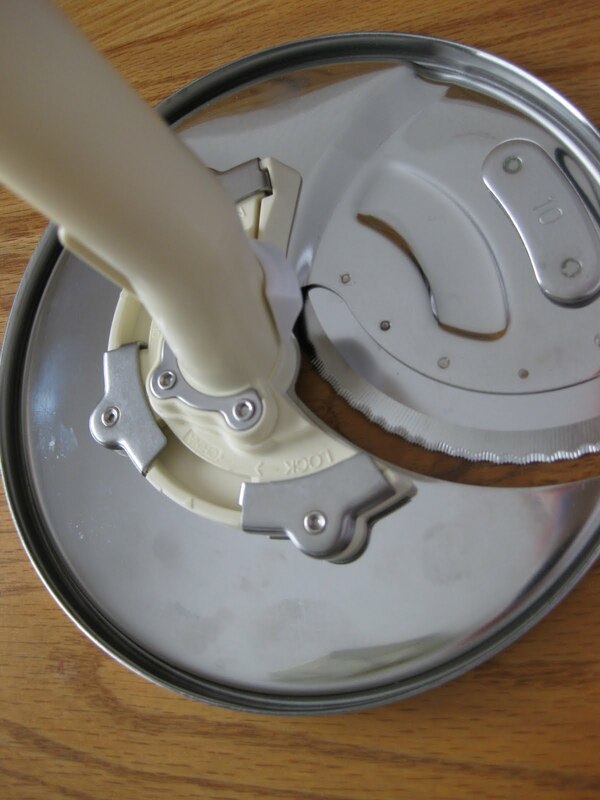 I could not figure out how the attachment attached to the metal blade. It gets bad when I have to resort to looking at the instruction book. That was no help since it’s wording was to attach one to the other and no pictures. Great, also the instruction book was about 1/4 instruction and 3/4 recipes. They also included a DVD so I put that in and watched. Again, the demonstrator said to attach one to the other and she should doing it on the DVD. Could I do it? NO! I tried off and on for hours and finally gave up and chopped everything by hand as usual. 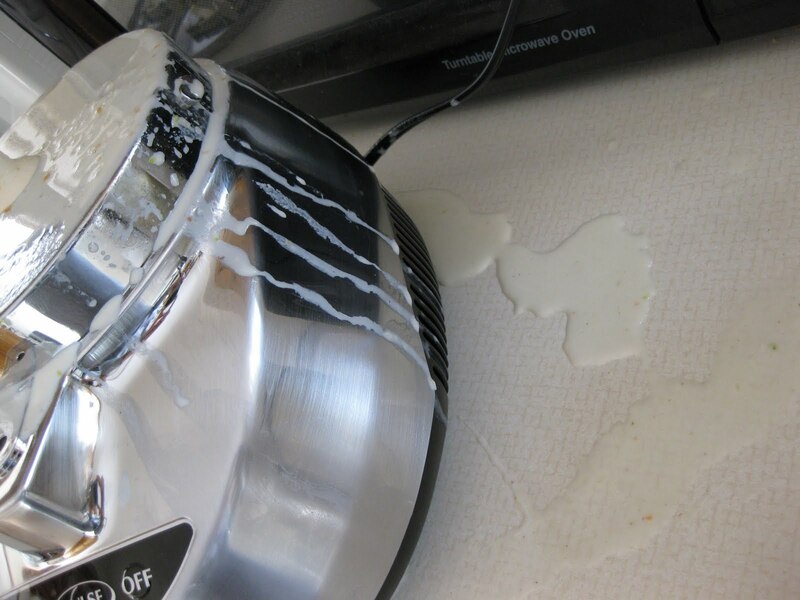 The next disaster came after I made the broccoli soup and needed to blend it in the food processor. 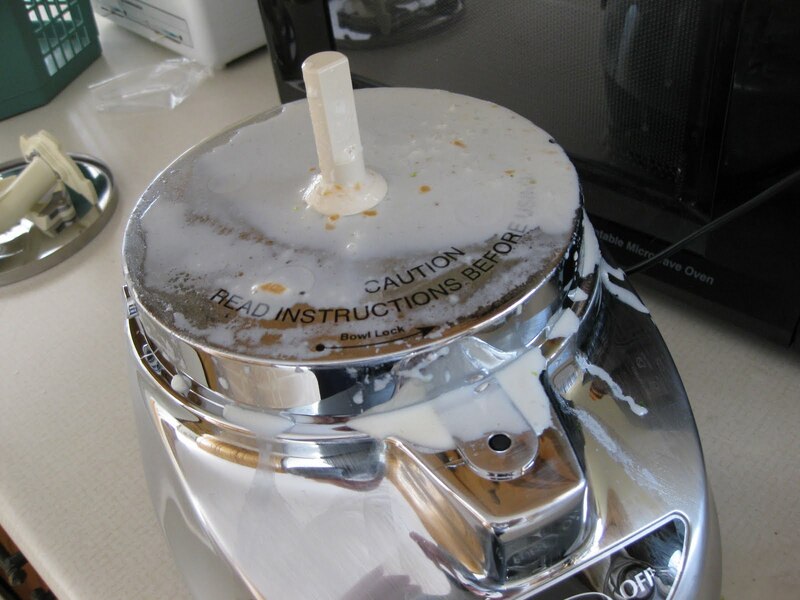 I took the soup and poured it carefully into the food processor. Before I even had a chance to turn it on, it started leaking soup all over the counter. It was about then I notice that the the processor had a “Do Not Fill Above This Line” which happened to be about 1/4 from the bottom and I had filled it to the top. I quickly had to dump everything back in the pot. I cleaned up the mess and then add the soup to the line to pulse it in shifts. Nada, nothing. I had it all lined up, the blade in the bottom and it wouldn’t go. I dumped the soup back into the pot and lined everything up again to see if I could get it to work without the soup. Nope. The red light came up but it wouldn’t pulse. I gave up and waited for Rocketman to come home. He had a doctor’s appointment with Dr. NBM (No Bedside Manner) and I was already is a foul mood but off we went. Poor guy, the entire trip which was about 15-20 minutes he heard all the details of my day with my new food processor. He felt so bad. The doctor’s appointment went great and again Dr. NBM was cordial. Again, I wondered if he had been reading my blog. On the way home we decided to eat dinner at a restaurant we hadn’t been to in at least 10 years. I had gone recently with a girlfriend and the food was great. Who knew Happy Hour started at 4:00pm. The sign said to seat yourself and we found a booth. Poor Rocketman slammed his knee into the center post of the table as he climbed into the booth (it wasn’t made for someone 6’5″). He was in pain and hungry. A waitress brought us menus and took our drink order. She came back right away with the Cokes and then disappeared. Finally, another waitress cames and starts to wait on the booth in front of us that just came in (we had been waiting 10 minutes by now) and when she came by our booth, I said, “Excuse me, can you take our order.” She just shooed me away. Rocketman and I were both really annoyed by then. She came back to the other booth and I told Rocketman to get ready with our coats because if she didn’t come over to our booth next we would leave. She did come then and take our order but didn’t seem happy to do so in the least. With our order in, I then looked around the crowded bar area and restaurant and noticed that she seemed to be the only waitress in the whole place. The girl that had gave us menus and took our drink order had disappeared. So there was this one girl having to serve the Happy Hour guests and people like us who wanted to eat. I felt bad for her and now understood why she was so short with us. Our food came and was delicious. Getting refills on our drinks was out of the question and getting the check was a wait. We ended up at the restaurant a lot longer than we had expected but that was fine. Time spent with Rocketman is always time well spent. As soon as Rocketman came into the house, he went right to the food processor. In a split second he had the two pieces attached and had me do it myself so I would remember. You had to push a button to get them to lock together. He also figured out how to align the food processor and showed me what I had to do to make it work. What a guy! Some days I feel like a nut. When I cook something new and it turns out, I am surprised and thrilled. 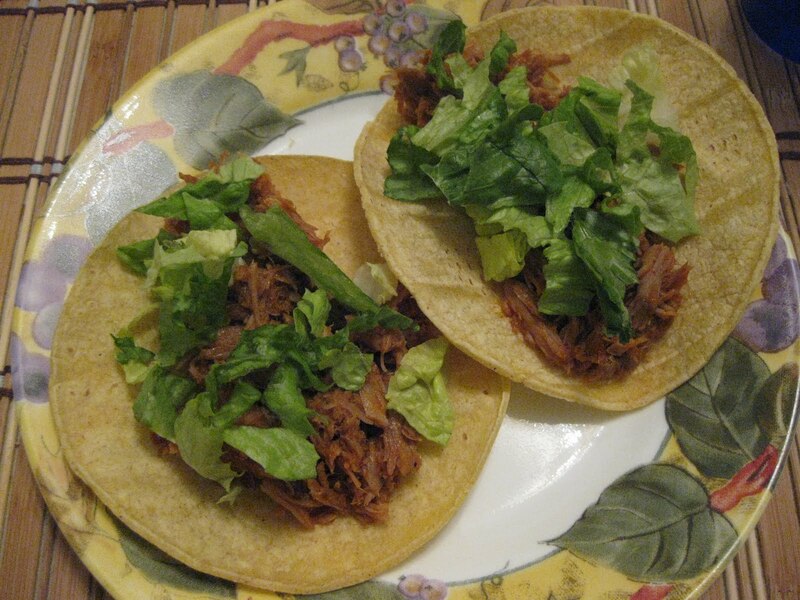 While cruising the Internet, I found Steamy Kitchen and this recipe for Korean Style Tacos. My friend Holly would lives out in the Los Angeles area has been telling me about the Kogi BBQ truck that Twitters where he is going to be and people line up for hours to get Korean BBQ on the go. Steamy Kitchen had a recipe for Korean Style Tacos and when I saw that the ingredients were pretty basic. 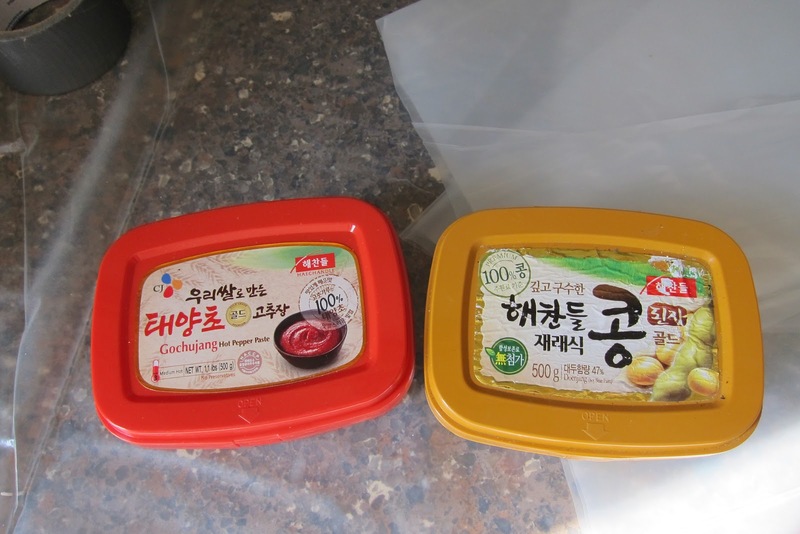 The only thing you would have to go to a Asian market for is the gochujang (red pepper paste) but I already has some. 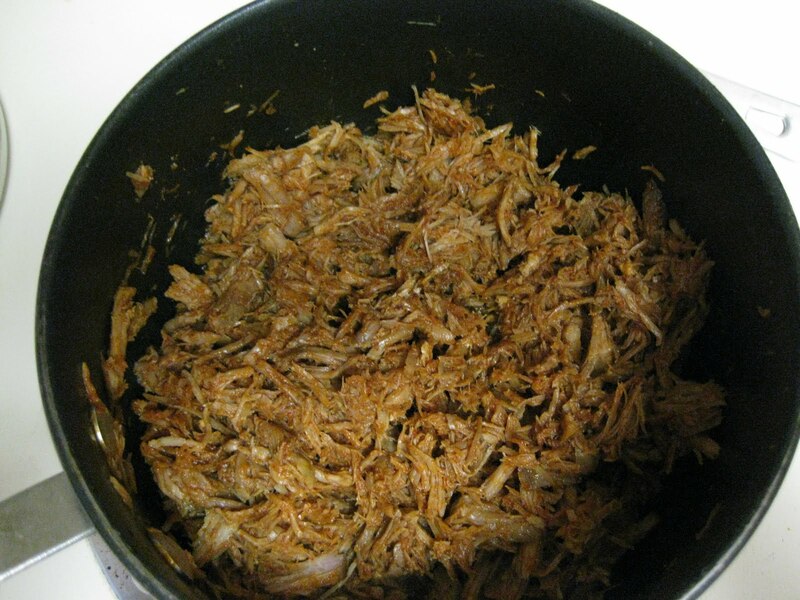 I used the ingredients above which included a 1 pound pork roast that I had already slow cooked and pulled apart. Wisked all the ingredients together. Then added it to the pulled pork. The recipe called for some cucumber pickles and I couldn’t find any English or Japanese cucumbers so I just used some Romaine lettuce I had. I served them on a corn tortilla. Rocketman was SHOCKED by the taste. He couldn’t believe I made them and they were so good. Remember, Rocketman has lived with my cooking for 30 years and it’s not uncommon for a new recipe to spell disaster or a quick trip to Subway. Wait until tomorrow’s post to see the other side of my cooking.